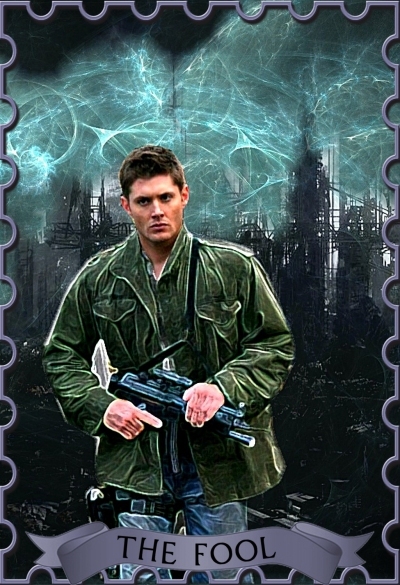 One interpretation of the card is called The Fool’s Journey, and it so resembles and opposes the Heroes Journey that I felt like Future Dean was the perfect choice for this card. He has the advantage of hindsight, and also the ability to affect his past and change his future. I decided to portray him against an Apocalyptic wasteland, because that is where his journey ultimately led.